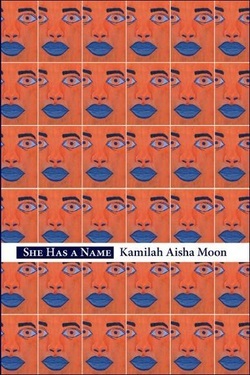 She Has a Name, the debut collection of poems by Kamilah Aisha Moon, explores the intersecting perspectives and experiences of a family, centering around a young woman – sister, daughter, student – with autism. This central figure grounds the collection, sometimes speaking herself, but more often is described from various, sometimes contradicting points of view. Moon defines the book as a “biomythography,” Audre Lorde's word for the mythologizing of history and autobiography, translating stories from reality into legend. Here, the subject of that legend isn't the central character or even autism itself, but the concepts of home, intimacy, and family, described in the nearly timeless language of myth. Moon's poems innovate and build on our well-known folktales of what it means to be a family, moving these archetypal characters apart through space and time so that the reader can feel the bonds that irresistibly pull them back together again. In “Borderless Country,” the collection's first poem, the difficulties of a loved one with autism are introduced, along with the sense of disconnection this diagnosis brings: “Souls we love turned / like the faces of flowers thrust / toward a rogue sun.” From the beginning, through Moon's spare, almost conversational, but deceptively evocative language, the reader understands this to be a story of both love and loneliness, of a distance that can never be fully traversed. Describing autism as “the catch-all / phrase that drops kids off / at nowhere,” Moon elegantly conveys how having a name for what separates you from someone you love does not make the separation easier to bear. The interweaving voices of each member of this family – the parents, both separately and in unison; the sisters, of which the poet is one; and the girl with autism – are distinct from each other yet harmonious. The family resemblance is clear. In “The last thing,” the girl's father says “Held her as long / as any father's strength could stand / her growing weight. / What next?” (Many of the poems in the voices of family members are untitled; these pieces are identified here as well as in the book's table of contents by their first lines.) Meanwhile, in “I watched the backs,” the mother says “My husband says nothing, / his kisses shallow. / What we don't say / we eat.” This is an evocative portrait of a family whose resources are stretched beyond capacity – elsewhere, the father says “I'm not allowed to say / I don't want to pay / what she will cost us” – but who find the strength to hold each other nonetheless. This material is both prosaic and mythical, because myth is, at its core, about surpassing the possible. In She Has a Name, Moon makes limitations painfully real so that transcendence can be all the more triumphant. holding on until she squeezed back. The gesture of holding on contrasted with the gesture of escape creates an intense but mostly internal struggle. Moon's clear, honest language – short lines, unadorned syntax, vivid images – makes the reader feel this struggle as physical tension. Interestingly, throughout the poems in She Has a Name, neither the youngest sister nor any member of the family, except the poet (referred to as Ish), are named. They are defined by their relationships to the main character, relationships that ground and center even as they stretch and evolve. Though the family resemblance may fade and differences become more pronounced – as the middle sister says, “Linger; we become distinct” – no one in this family can shed their roles or shirk the responsibility that comes with them. In “Directions,” the mother urges her two eldest to keep a close watch on their younger sister when their parents are gone. The middle sister follows this with, “We know 'watch your sister' means forever.” These are the simple words of a conversation between relatives, but by stripping away the excess and letting love and duty hold their own, Moon transforms everyday phrases into timeless myths. would spread out on Lenore St.
in something other than blood. Through growing up and growing older, the family ties that give She Has a Name its strength are not severed, but are altered, and it is in writing these changes that Moon's poetic voice is at its most poignant, tender without becoming maudlin. Describing her own battle with cancer, the mother's voice notes how the afflicted daughter becomes a source of strength and comfort: “we share a phantom cord, now a two-way / lifeline. She tethers what otherwise / would float apart.” In “The Vulnerable Leading the Vulnerable,” Moon addresses the fear at the heart of this collection and of most, if not all, human intimacy – that we will be unable to protect our loved ones from suffering. “We worry over / their safe passage / through tomorrow, / that dusky hole.” Elsewhere, in “Dust,” she writes, “Often all we have / are banged-up blessings.” This is a myth with no heroes, only people trying to be heroic for the sake of those they love.